The Rt. Rev. James B. Magness accepted a call to serve as our Bishop Diocesan Pro-Tempore, effective January 1, 2019 and until such time as the 11th Bishop of the Diocese of Southern Virginia is consecrated. Bishop Magness is the retired Suffragan Bishop of the Armed Forces and Federal Ministries. Magness was elected by the House of Bishops as Bishop Suffragan on March 24, 2010. 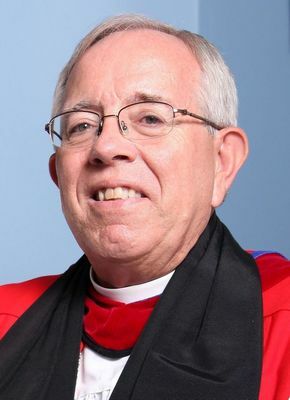 Previously, Magness served as the Canon for Mission and Diocesan Administration in the Episcopal Diocese of Southern Virginia and in parish and diocesan ministry. He retired from the U.S. Navy in 2003 in the rank of Captain, serving as command chaplain of U.S. Joint Forces Command and fleet chaplain for the U.S. Fleet Forces Command. Prior to those assignments, from 1997 to 2000 he was on the Navy Chief of Chaplains’ staff as personnel manager of the Navy Chaplain Corps.